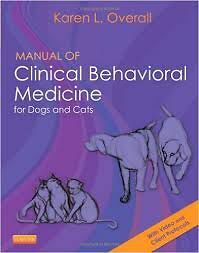 Covering proven techniques of behavior modification, Manual of Clinical Behavioral Medicine for Dogs and Cats provides a practical approach to the treatment and prevention of common canine and feline behavior problems. More than simple obedience training, this book describes both normal and undesirable behaviors and offers solutions for common small animal difficulties including digging, barking, biting, anxiety, and marking. It also discusses the role of pharmacology in behavior modification. Written by well-known veterinary behavior specialist Dr. Karen Overall, this reliable reference includes a DVD video that shows humane behavioral care and explains how dogs communicate with and learn from humans.